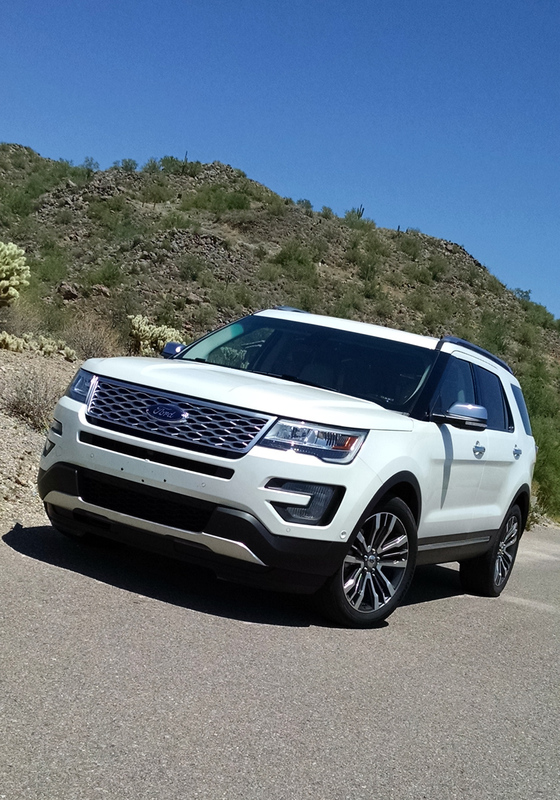 The Ford Explorer was not only freshened in its design for 2016 but added was a new top-end model in the Platinum. 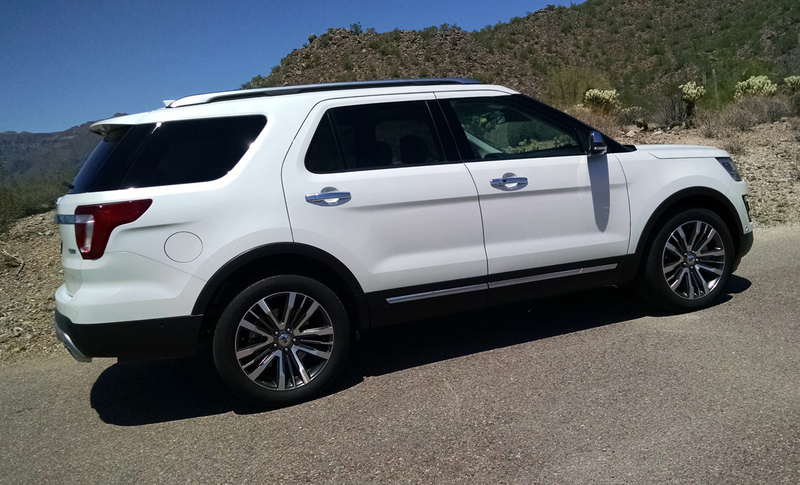 With more premium level amenities along with the Explorer Sport’s 3.5-liter EcoBoost V6, it’s Lincoln level luxury without the Lincoln suit. 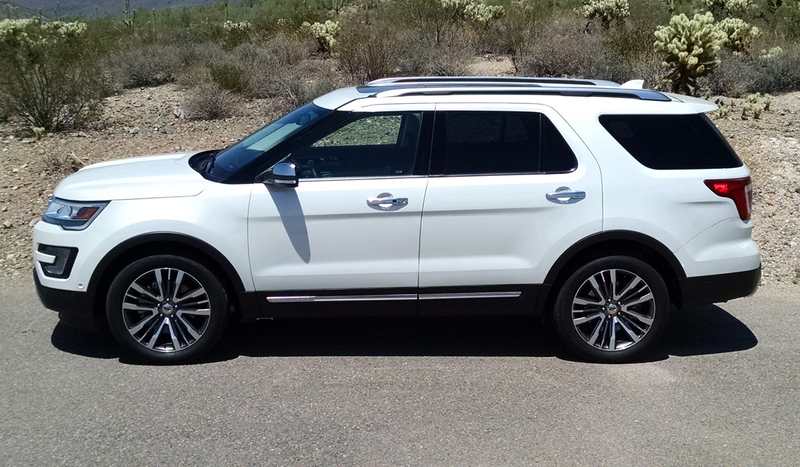 Ford saw that their affluent Gen-X buyers of the Explorer Sport were heaping expensive packages and luxury features in their purchases, so they felt it was time to add a higher level for those wanting it, but too young too appreciate the style and image of Lincoln. In such, they added satin chrome trim elements to the exterior in its unique grille, lower fascia skid plate styling elements and in details like the side mirrors, door handles and roof rails. Dual exhaust tips and special 20-inch wheels round out the exterior changes. 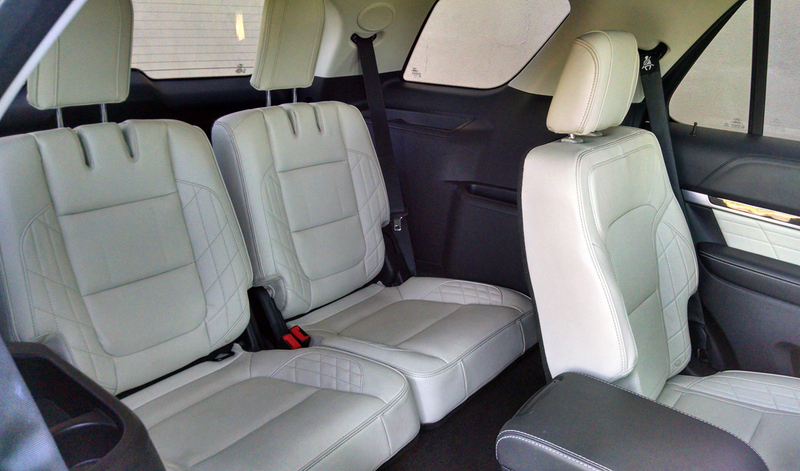 The cabin is where the Platinum really shines however with the Nirvana leather treatment. 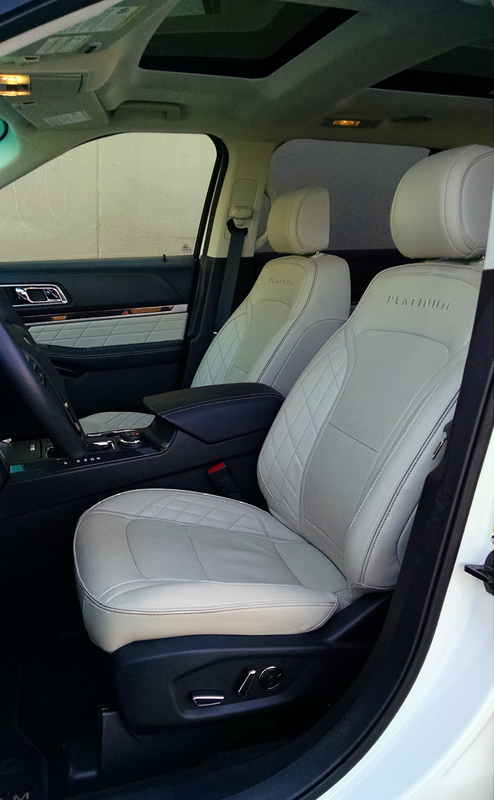 Seating surfaces and door panels get the top-grain hides with both a diamond stitched quilting and perforation patterns, a theme found in much more expensive vehicles. The dash and door panels then get wrapped in the stitched leather as well along with genuine ash wood and aluminum trims. 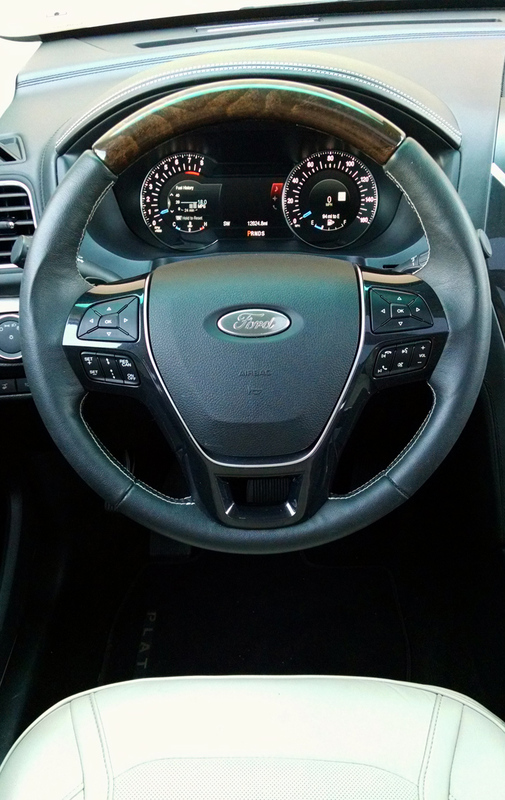 Even the steering wheel gets a first for Ford brushed aluminum oval emblem. 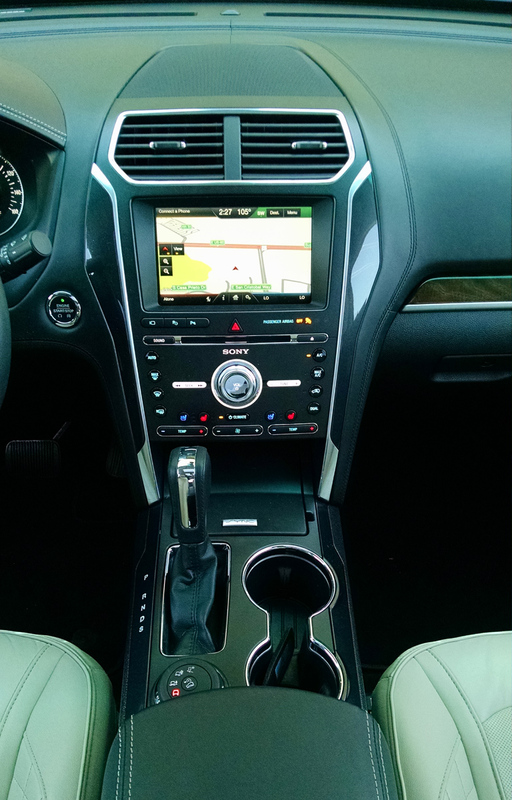 Entertainment for 2016 remains the top-end MyFord Touch Sony audio and navigation system. It sounds good but remains difficult to use. 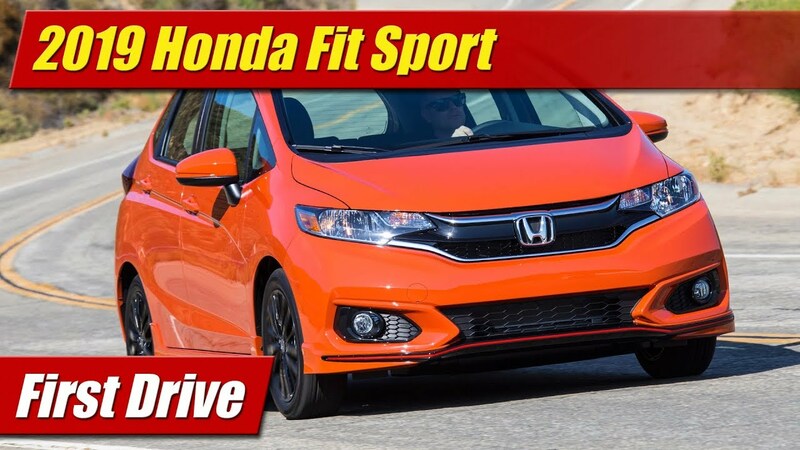 2017 model benefit from the new SYNC3 system that is much better. 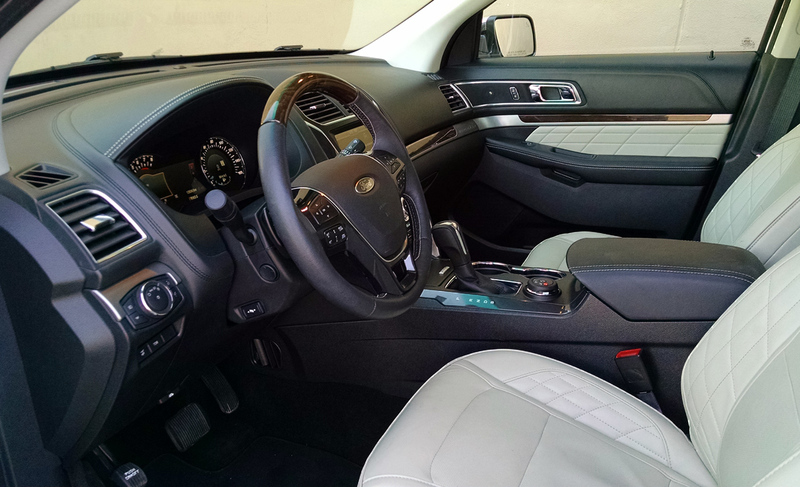 Front seats are borrowed from Lincoln with their multi-contour functionality and massage feature. They can be adjusted on either the side of the seat or using the touch screen. 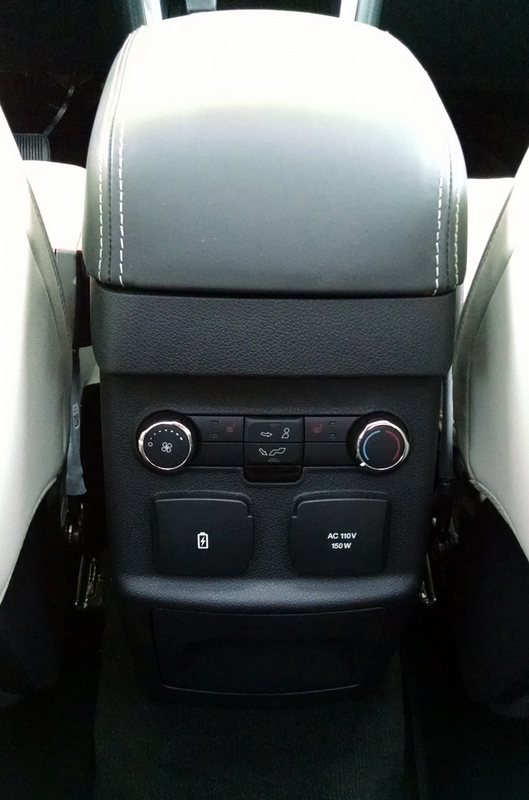 They’re heated and ventilated up front, the rear captain’s chairs heated as well. 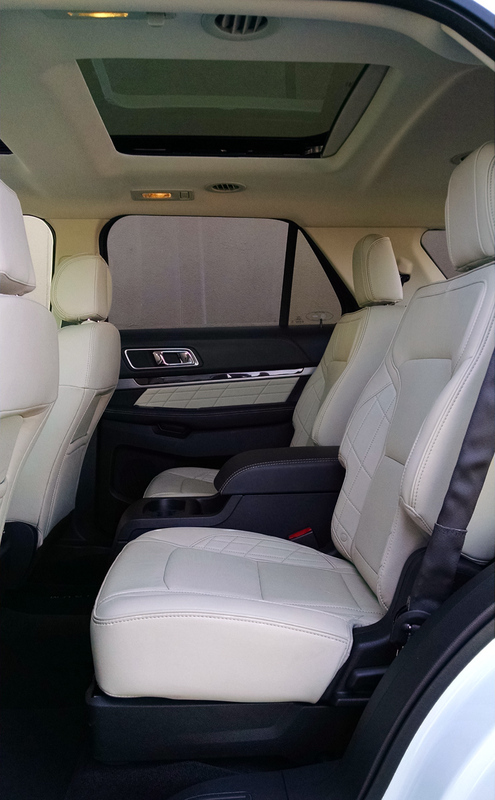 Included on the Explorer Platinum are the power folding third row seats that can be lowered one or both by a touch of a button, either folded forward or completely stowed away for a flat cargo floor. Additionally, the second row seats can be folded flat to extend that flat cargo floor all the way forward. 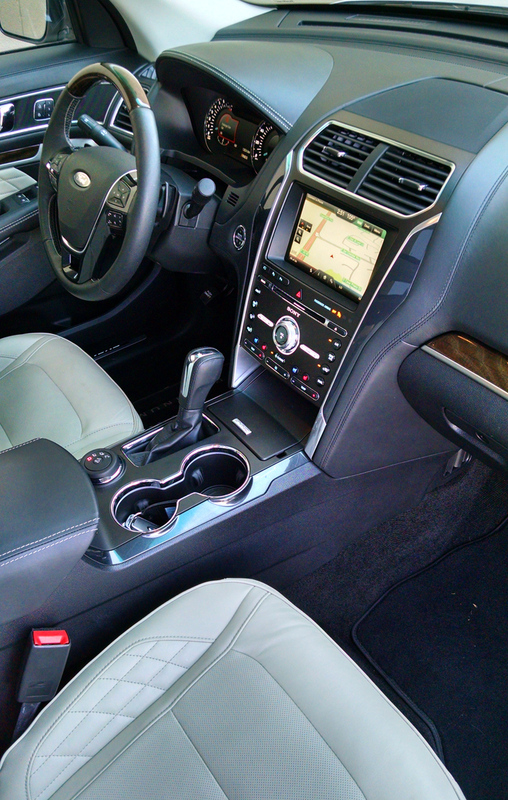 Of note, the captain chair option does bring with it the center console that sticks up above the floor level. Standard 60/40 split seating would have a flat floor all the way across. 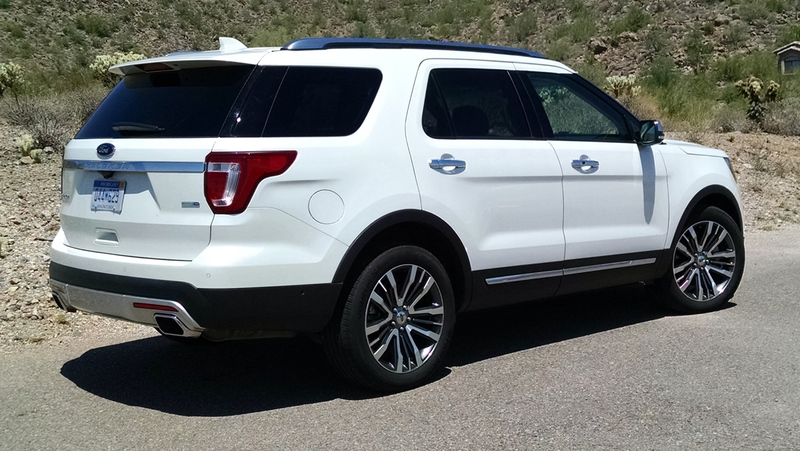 Setting the Explorer apart from some competitors is the deep well behind its third row seat that allows for generous storage even with the third row being used. Under the floor is also a temporary spare tire. 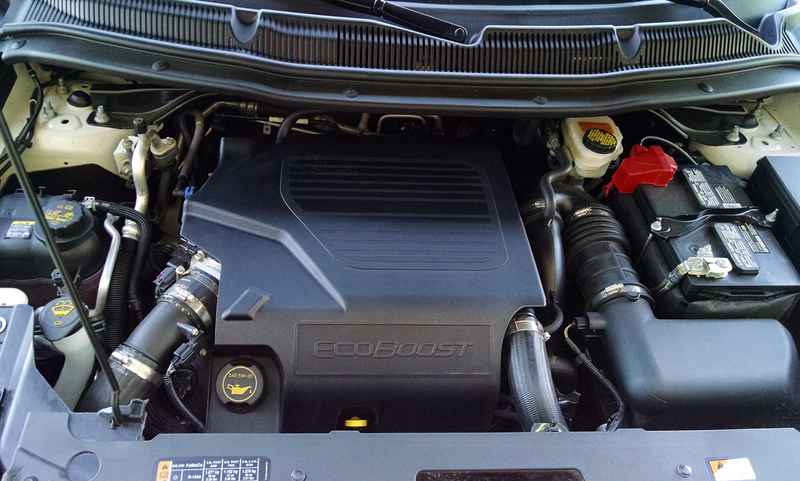 Under the hood is the most powerful engine in the class, a 365 horsepower twin turbocharged EcoBoost V6 at 3.5-liters. 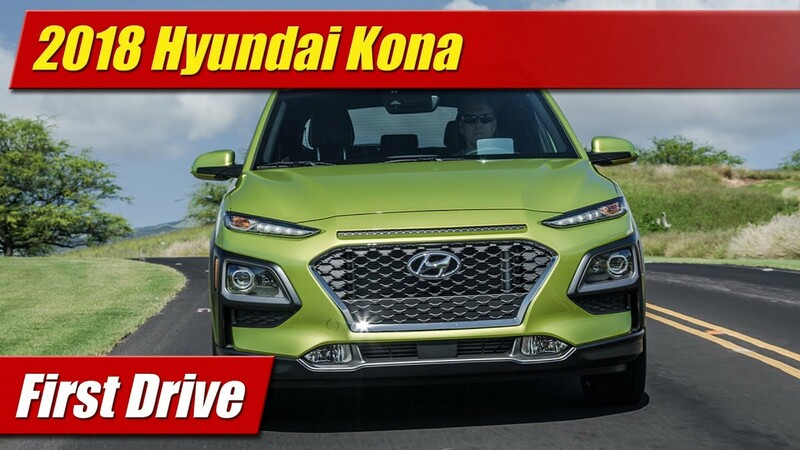 With 350 pound-feet of torque it comes with fully automatic all-wheel drive and a six-speed automatic transmission as standard equipment. 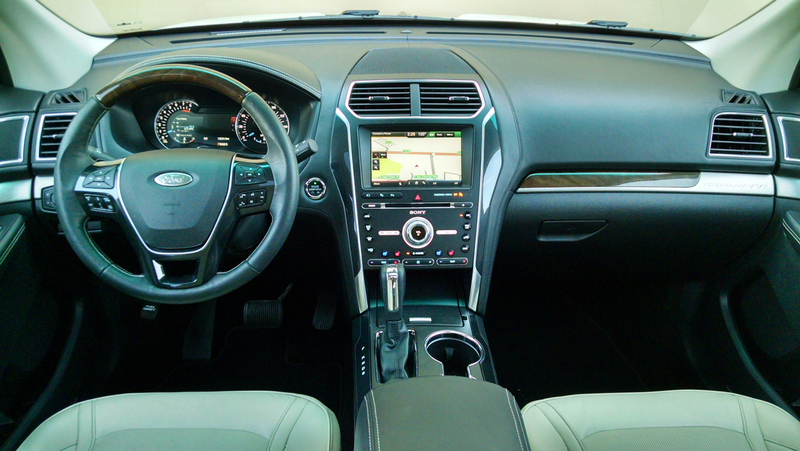 Power comes on strong and is delivered well through its automatic transmission. The shift lever set in Sport Mode offers snappier shifts, augmented by the steering wheel paddles. It all works very well with a refined thrum that can be fun. Fuel economy is rated at 16 mpg city, 22 mpg highway and 18 mpg combined which is what we achieved in our week with it. 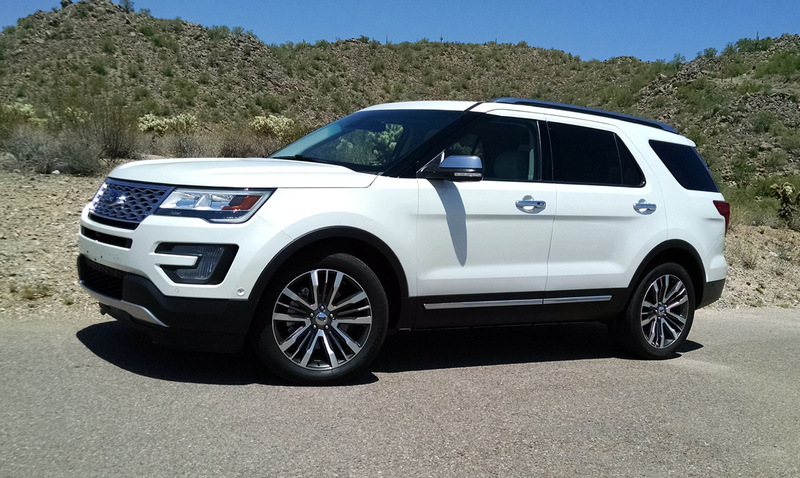 Handling is a bit tighter than the garden variety Explorer with a suspension tuned to handle the extra horsepower of the EcoBoost engine. 20-inch wheels and wider tires provide more grip when driving in a spirited manner. This is no Mustang GT however, it remains somewhat top heavy with an SUV level of body roll. The ride on the highway is as expected very quiet in terms of road noise. The dual moonroof did provide some wind noise at speeds above 65 mph however. And on the desert washboard road, interior trims tended to rattle and shudder. 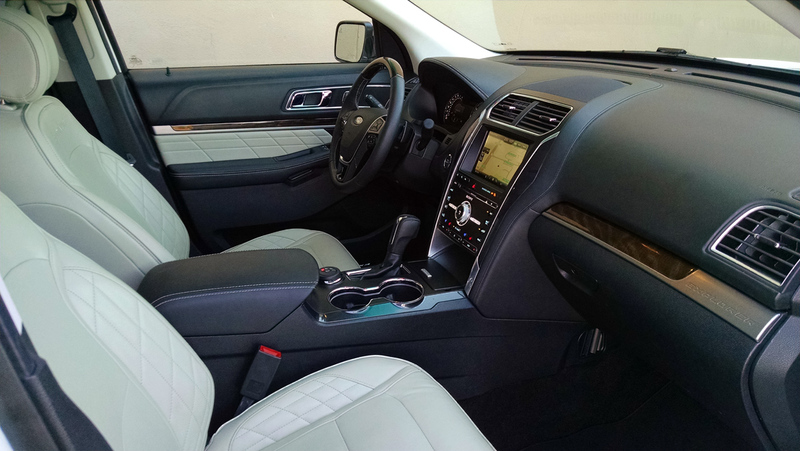 Priced at $55,355 with a few options like its metallic paint and captain’s chairs the Explorer Platinum pushes its top-end further upscale but still less than you can spend on a comparably equipped Lincoln. It’s a great way to get into this level of style and luxury while remaining young at heart.